Are you a hairdresser or beautician looking to grow your online presence? Is your website bringing in the enquiries you want? If the answer is no, then our Air Websites solution is perfect for you. We provide a personal, customer-focused approach to each of our clients. Our efficient project management system creates a stress-free process for both our website developers and clients. As a hairdresser or beautician, do you have a website in place which comprises a gallery so that you can effectively showcase the results of your work? A gallery is one of the key sections of a website users will be interested in due to the intangibility of the service you provide. With the continuous development of technology and the recent ‘mobile-first index’ change announced by Google, it has never been more crucial to have a mobile responsive website. A responsive website means that your hair/beauty salon can be accessed via any device (desktop, tablet and mobile). 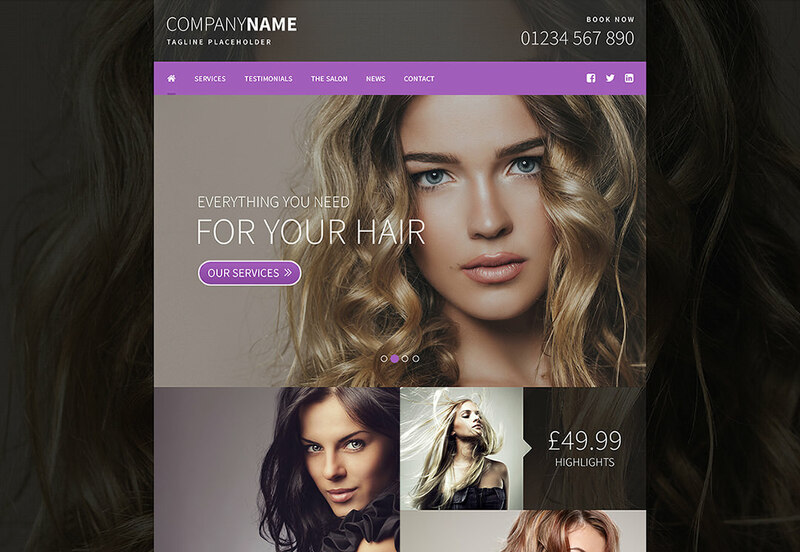 Our new beautiful ‘Salon Style’ template is perfect and designed to showcase hairdressing or beauty services. • Getting Started – Are you just starting up your business and need a professional online presence? • Up & Running – Is your business up & running? Do you need a more professional online image and a website you can easily manage the content of? • Growing – Is your business’ online presence ready to grow a step further? This is the perfect package to build your online engagement and enquiries. • Ecommerce – Our Ecommerce solution is stable, secure and comprises of the features you need to start selling effectively. Our personalised service means that personal preferences or requirements can be made to our templates, this can be discussed at the start of the project so our web developers can work towards building the website you visualise. We work with you to create the website you desire which improves your business’ online presence and generates more enquiries so get in touch today!